Is your business under Financial Pressure, having Cash-Flow Problems or do you have an Urgent Tax Bill? If you are struggling with personal debt, Anderson Brookes can help. You may be able to Write-off unaffordable credit cards, loans, overdrafts, utility bills and other personal debt. 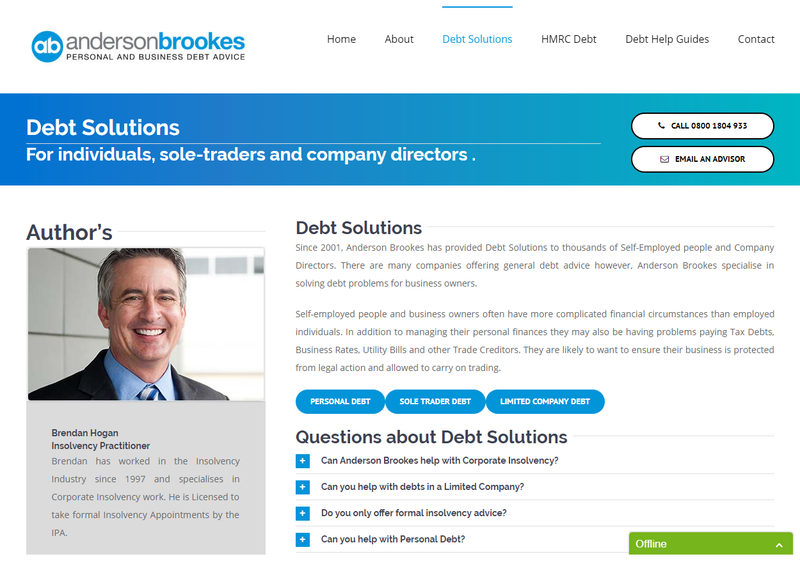 Anderson Brookes is one of the leading providers of independent debt advice to the UK’s 3.8 million, self-employed business owners. Over 90% of our existing clients are currently running small businesses. Providing debt advice to the Directors of limited companies is our specialist area. Our aim is make sure Directors struggling with cash-flow problems, understand all their options before taking any action. For more information about our debt solutions contact us today. “The service I received from Anderson Brookes was excellent. I’d already made the decision to cease trading but I didn’t know how to deal with my legal responsibilities as a Director. I went through the process of Creditors Voluntary Liquidation (CVL). Anderson Brookes helped me through every stage”. Mr L C. Managing Director of #### Cash & Carry Ltd.
“I write to you having recently used your company to arrange an IVA. Throughout this process I was stressed to the point of being unwell and encountered many obstacles, all of which Khalid walked me through. I am now beginning to start the process of getting myself on the right track, and this is largely thanks to Khalid’s pragmatism.”. “Neil helped me through the process of Liquidating my company. Although closing-down the company was quite stressful, it was surprisingly quick and Neil made sure I knew what to expect at each stage. I have recommended other business owners to Anderson Brookes and always received great feedback”. “Why my company ran into cash-flow difficulties, I was introduced to Neil at Anderson Brookes. We discussed lots of different options but I decided to place the company into Liquidation. The problems are now behind me and I’ve been able to set up a brand new, debt-free company”. “Anderson Brookes helped me arrange a Business IVA. I was a sole trader and my plumbing business had run into financial problems. I was able to repay my debts through a voluntary arrangement over 5-years. I’m pleased to say; the business has been trading very successfully now for the last few years”. “Just thought I would let you know that business is going extremely well I have no credit commitments, new car, new van and 2 good holidays a year and I really do owe all of that to you. I really appreciate your help in turning my life around. I would hate to think about where I would be if I hadn’t met you”. “I was introduced to Neil at Anderson Brookes as I needed help with a financial problem. 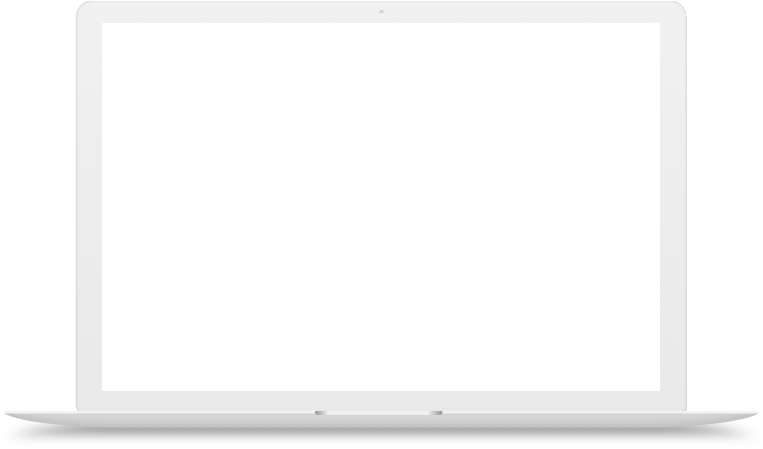 It turned out that I just needed to have all the options explained. Within a month of taking advice, the problem was behind me. I’m happy to recommend Neil and Anderson Brookes to anyone that needs advice on debt”. Our professional and friendly team are on hand to provide you with the help and guidance you need at this difficult time. Anderson Brookes Insolvency Practitioners Ltd operate a complaints procedure. In the first instance, please call 01204 255 051 or email info@andersonbrookes.co.uk to request a copy of the complaints process. If we are unable to deal with your complaint to your satisfaction, your complaint should be made to the Insolvency Complaints Gateway by visiting their website https://www.gov.uk/complain-about-insolvency-practitioner and completing and submitting their online form. Alternatively, you can print the form from their website and send it by post to The Insolvency Service, IP Complaints, 3rd Floor, 1 City Walk, Leeds, LS11 9DA or contact them by telephone on 0300 678 0015 (Monday to Friday 9am – 5pm). Some of the services provided by Anderson Brookes are not regulated by the Financial Conduct Authority. Some of the debt solutions we provide advice on are only available in England and Wales; Anderson Brookes does not provide services outside England and Wales. Anderson Brookes is a commercial, profit seeking organisation; depending on the services provided, fees may be payable. Any fees applicable will be confirmed to you in writing before any chargeable work is completed. Anderson Brookes operates a complaints policy; if you are not happy with the way we have dealt with you or your case, please ask us for a copy of the policy.